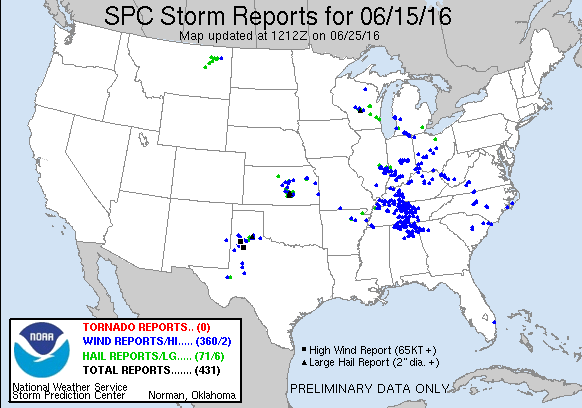 June 15, 2016 featured a shortwave trough forecast to move across the Minnesota Arrowhead into Wisconsin along with a surface low and attendant warm front draped across the I-90 corridor. With surface temperatures in the low 80s and dewpoints in the upper 60s, convergence along the front and ahead of the low seemed like a decent target for severe weather. I left home around 9am and began the trek around the big lake to get to Central Wisconsin where I was anticipating severe weather to erupt. The SPC had a 2% tornado probability forecast for the area which they increased to 5% with the 13z update. As I entered Wisconsin the SPC issued a mesoscale discussion for Central Wisconsin as cumulus growth was on the increase across the northwestern portions of the state near the low. We were still looking at 1,000J/Kg of CAPE developing downstream where clearing was taking place and the frontal zone had migrated north, so I continued north on I-39. 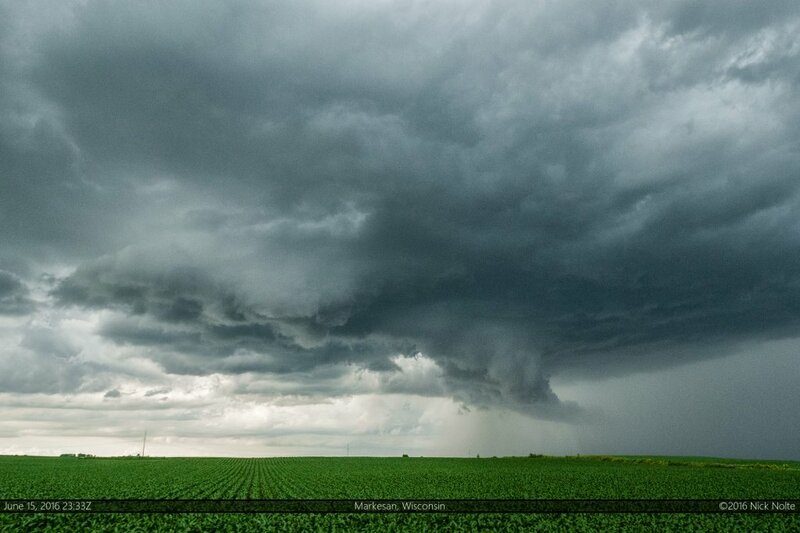 As I approached Madison the tornado watch was issued. 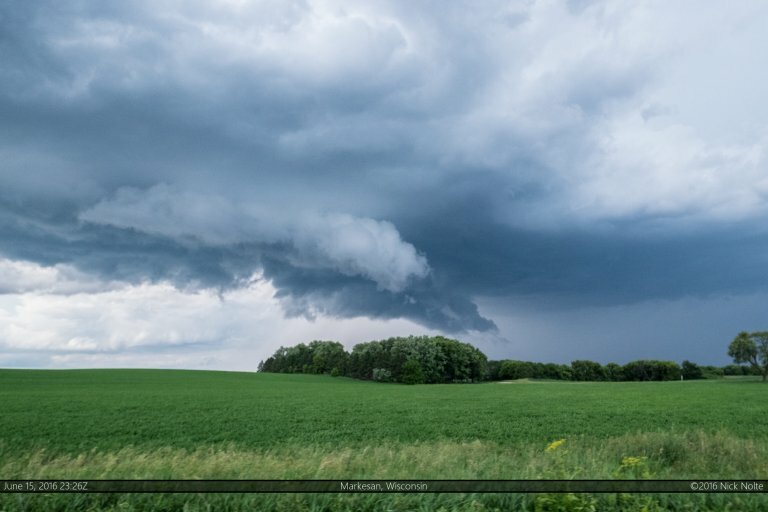 At this time there was a pretty defined line of cumulus near Chippewa Falls and it became clear that I needed to get further north than I was, so I continued north to Plainfield. Storms began to fire to the northwest, so I drove in that direction to intercept the tail end storm. I eventually got on the storm near Necedah, unfortunately the terrain in this area is less than optimal and the vast amounts of forests made getting a visual on the base of the storm next to impossible aside from glances through breaks in the trees. I continued to track along it for an hour or so until I emerged into more favorable terrain near Kingston. The storm never really took on a more impressive appearance than here but it did drop some pretty decent size hail up to golf ball size. 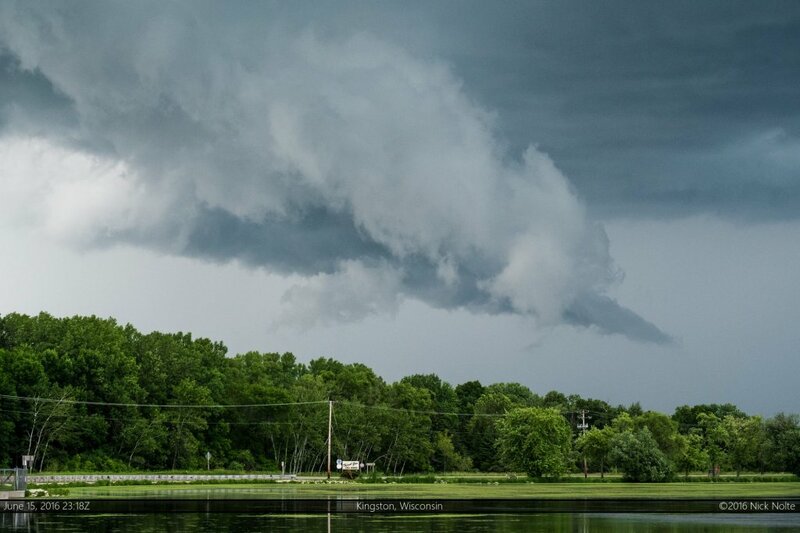 I continued to follow along with the storm as it tracked southeast across Wisconsin. I stuck with it all the way to the Milwaukee shoreline at dusk where I ended the chase and began the trek home!